This year I have discovered some great comics series. And all of the new series I’ve latched onto have been from Image Comics. Their output is fantastic and I can’t wait to read more (Fatale is the next one I want to read, it looks amazing!). The latest series I’ve fallen for is Lazarus. Having finally caught up with Saga while continuing to enjoy Mind the Gap, my partner bought me the trade paperback Volume 1 of Lazarus as a gift from a weekend away at a comic book convention in Leeds. Like many gifts from loved ones, it wasn’t entirely selfless – he desperately wanted to read it as well (and actually got to it before I did), reminding me of when I was a kid and my dad liked to buy me gifts he wanted (remote control car, for instance – one that I never got a chance to play with, because he got the first turn and promptly broke it). In the near future, the world is run by a handful of wealthy families. Countries are defined by what family owns the land. Anyone who works for the ruling family comes under their protection, everyone else is considered ‘Waste’. But with great power comes great risk. To protect themselves, each family has a Lazarus – their protector. The Lazarus is given every possible advantage, from training, assets, and scientific advancements. 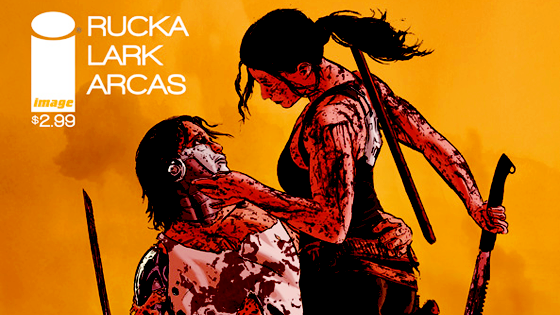 Practically invincible, the Lazarus carries out their family’s orders by any means necessary. The Family Carlyle’s Lazarus is Forever. While determined to do her duty and protect her family, Forever starts to question her violent behaviour and the lack of justice in the world around her as she roots out an enemy from within the ranks of the family. Lazarus has it all. While it is all go in terms of action, it doesn’t skimp on world building or characterization either. Following Forever gives the readers a strong female protagonist who is both more than capable in every aspect and yet still a pawn controlled by a man. A man not more powerful in physical strength or even intellect, but a power that is as old as time: wealth. 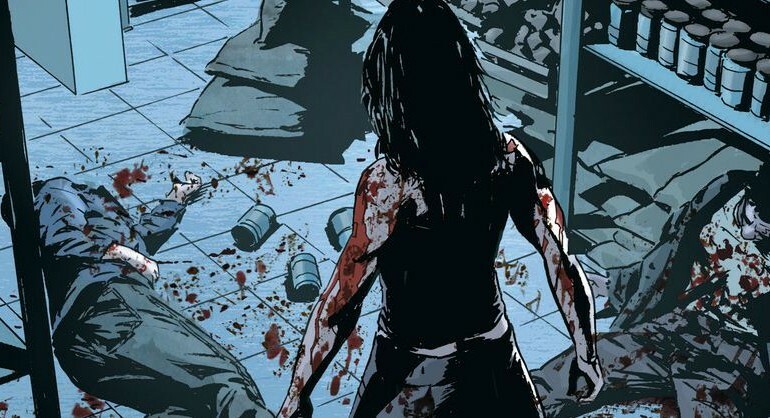 While Forever has motivation in terms of being her family’s protector, series creator and writer Greg Rucka also seamlessly brings in her more personal motivations – her questioning of her role within the family and the role of all Lazarus. Like any long-standing disagreement, there comes a point where you wonder why the fight was still going on (or why it begun), other than no one wants to be seen as weak. Forever is both the weapon used to keep the war going as well as the potential for future peace. The world itself is fairly standard for dystopian futures divided along wealth lines (think Hunger Games), but the addition of the ruling families lends a nice Mafia/gang feel to it. I also have a lot of respect for writers who tell it like it is (actually, it’s something I appreciate in real life interactions as well), so I found calling the poor and homeless ‘waste’ was refreshing. If they don’t work for the family but live on their land, they are exactly that – waste. Though they had little to do in this particular story arc, there is a lot of room for characterization and story growth for the lesser citizens of Forever’s world. 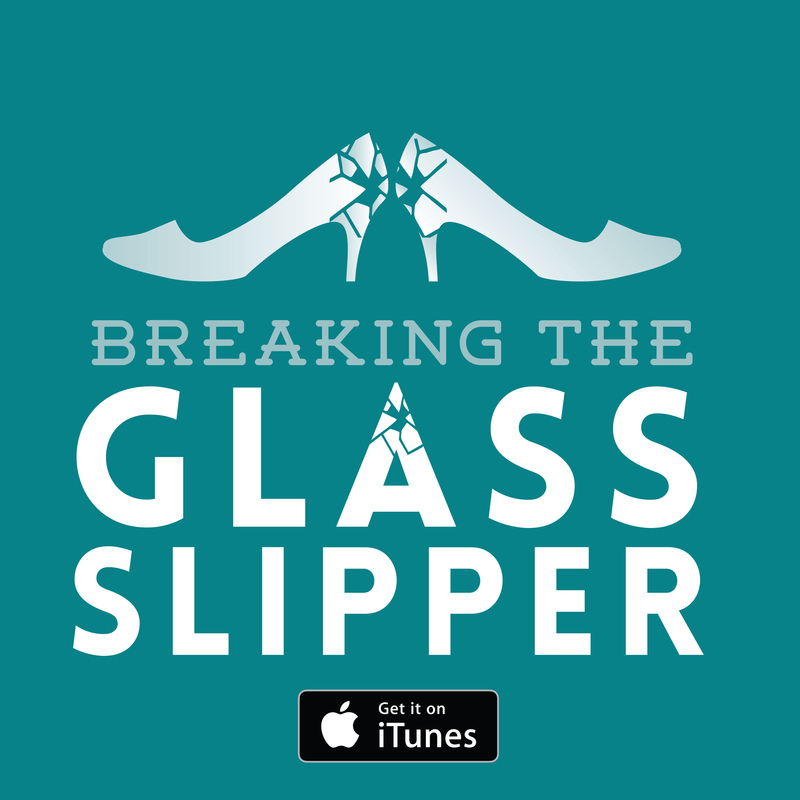 There are often problems with creating characters that are relatively invincible. Where is the threat if the reader knows the character isn’t really in any great peril? This happens a lot in the superhero world, or there will be one ‘kryptonite’ style weakness that gets conveniently trotted out whenever the writers need to inject a little tension. 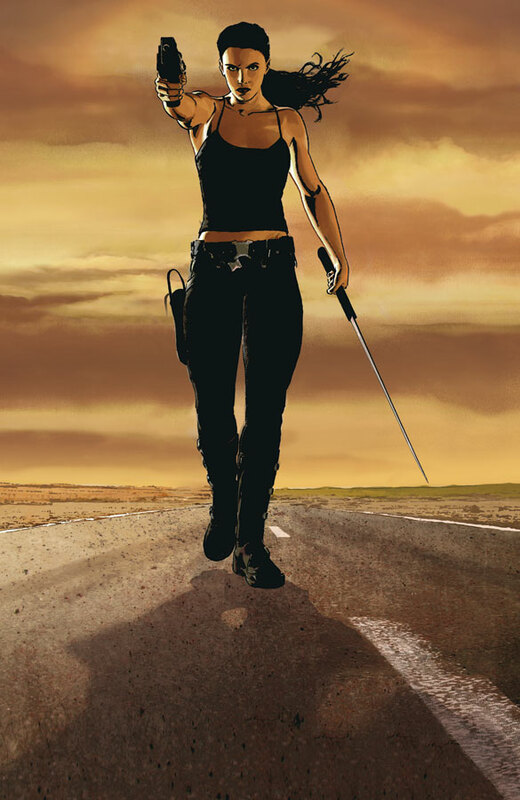 Rucka, series writer, has gone with fairytale inspiration, having the Lazarus power of resurrection (or something akin to that – when they should ordinarily be dead they are somehow just… not) linked to their blade. As long as the Lazarus remains in control of their weapon, they will not die… to an extent. If they are blown into tiny pieces, no amount of special powers or science will be able to piece them back together. 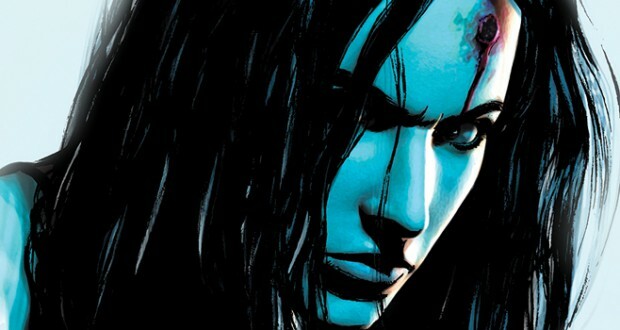 It will be interesting to see how Rucka continues the story line with a character we know can’t be permanently harmed. As far as the first story arc goes, it isn’t a problem – there is more than enough tension (if mostly emotional rather than physical, though still lots of badass fighting) to make up for it. Verdict: Incredible reading. Fast paced and action packed, full of intriguing mysteries and interesting characters with their own sets of motivations. A definite must-read for any comics/graphic novel fans. Previous: Is Star Wars science fiction or fantasy?